At a glance, House of MU at Mohammed Sultan Road may look like a furniture shop from the outside. 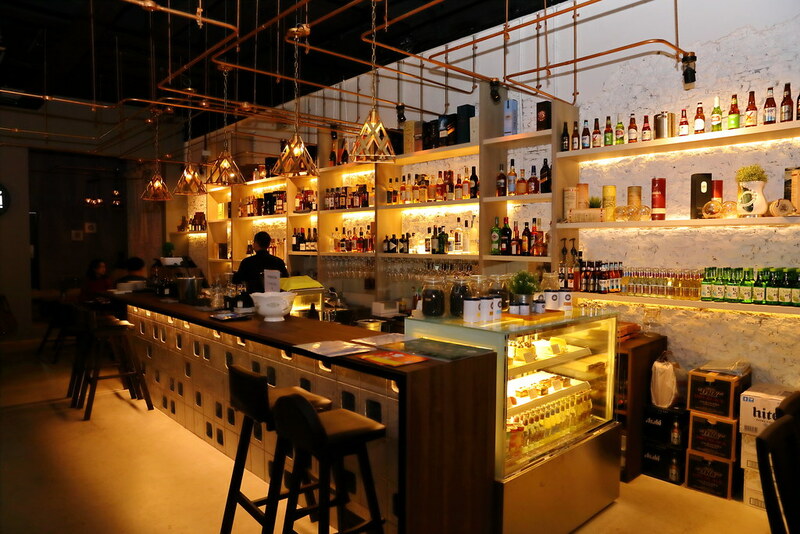 It is not surprise as the new kid on the block combines food and collectible Burmese teak furniture, bringing a new homely comfort concept to the F&B stretch. We started with the Cream of Mushroom ($9) for the soup of the day. 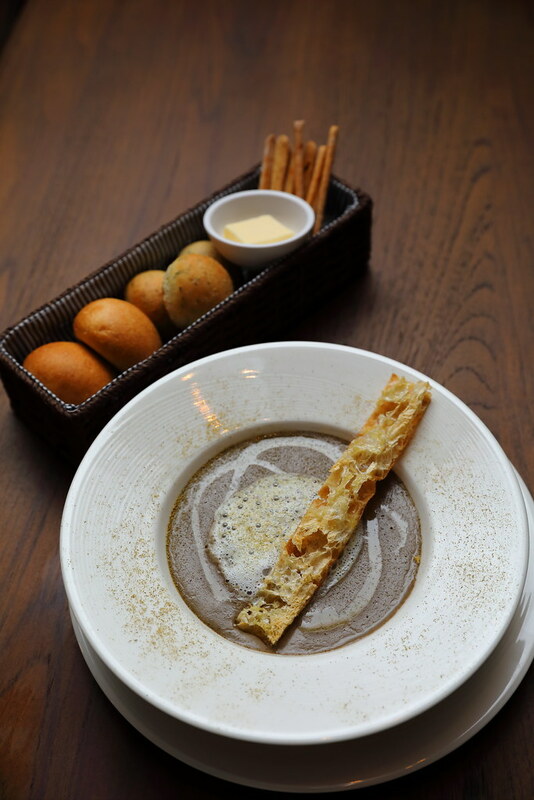 The comforting and earthy soup uses button mushrooms that has been simmered for hours. The creamy consistency comes from the addition of cream, butter and milk. It is best to pair with some bread rolls and sticks from the Fresh Bread Basket ($8). Next we tried the Pan Serared Scallops ($18) which comes with a nice char on top of its sweetness. 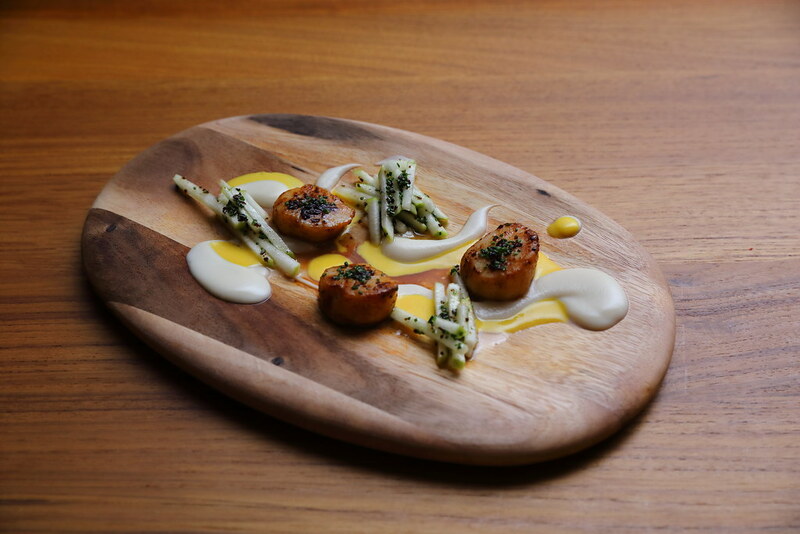 The French scallops are paired with the light and smooth cauliflower puree. I like the thoughtful addition of the fresh apple, lending a refreshing touch to the dish. 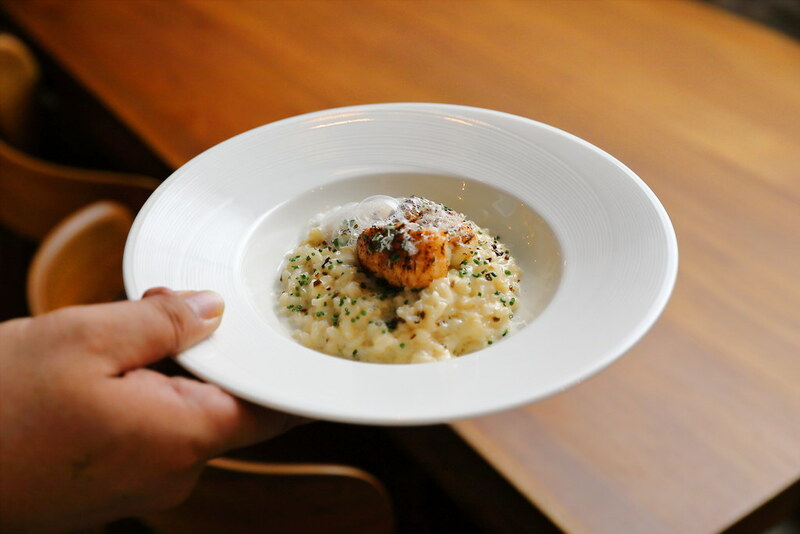 For variety, diners can create their own risotto or pasta at House of MU ($14). For carbo, diners can choice risotto, spaghetti or linguine. For the sauce, there are tomato, aglio olio, black ink (+$6), truffle cream (+$8). You can also have additional add-on such as chicken breast (+$5), veg lover (+$5), vongole (+$6), crayfish (+$6) and bacon (+$6) to make your meal more substantial. I had the Truffle Cream Risotto with Crayfish ($28). The rice is cool to an enjoyable al dente bite, absorbing the beautiful stock. It is further perfumed by the truffle scent. As an advocate for communal dining to share their lives and ongoings over a good meal, you will notice item such as the Munster Platter ($138) which is good for up to 4 pax. 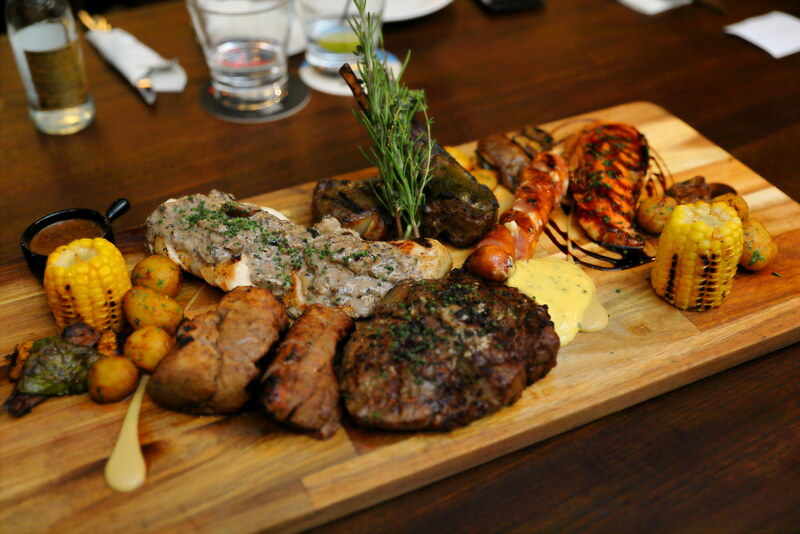 The platter includes a medley of prime cuts of beef steak, grilled chicken, roast lamb, pork tenderloin and herb sausages, cooked over a combination of Japanese Bincho charcoal and apple wood logs for the smoky flavour. Last but not least, end the meal on a finale with the Dessert Platter ($46). 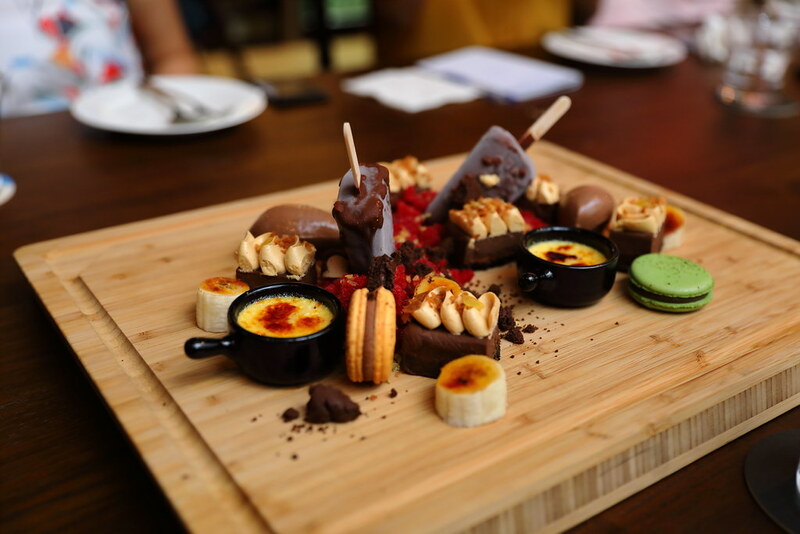 It comes with an assortment of macaron, creme brulee, bittersweet chocolate ice-cream, oreo cake with hazelnut cream, raspberry granita and frozen peanut butter popsicle. If you find the dessert platter some what familiar, you will be glad to know that pastry chef Song previously from Fat Lulu is now at House of MU.